Merch Informer LLC (“Merch Informer”) offers research software products and multiple different services to it’s international customers. We respect and protect our customer’s private information. This policy begins applying to visitors and customers as soon as they visit Merch Informer’s website, or websites that Merch Informer owns, for the first time. The EU General Data Protection Regulation (GDPR) replaces the Data Protection Directive 95/46/EC and was designed to harmonize data privacy laws across Europe, to protect and empower all EU citizens’ data privacy and to reshape the way organizations across the region approach data privacy. The GDPR aims primarily to give control back to citizens and residents over their personal data and to simplify the regulatory environment for international business by unifying the regulation within the EU. “Personal data” is defined in both the Directive and the GDPR as any information relating to a person who can be identified, directly or indirectly, in particular by reference to an identifier such as a name, an identification number, location data, online identifier or to one or more factors specific to the physical, physiological, genetic, mental, economic, cultural or social identity of that person. So in many cases online identifiers including IP address, cookies and so forth will now be regarded as personal data if they can be (or are capable of being) without undue effort linked back to the data subject. Merch Informer collects non-personally-identifying information that web servers and browsers provide. It includes: browser type, language preference, referring website, date and time of each request made by the visitor, a record of URLs visted. That information is collected by Google Analytics and/or StatCounter. That information is retained by Google Analytics for 26 months before records are destroyed. You can read the Google Analytics TOS by clicking here. The purpose of collecting non-personally-identifying data is to understand how visitors browse Merch Informer’s websites as well as reward affiliates. It is not used for any additional purpose, such as to profile those who access our website. Certain visitors on websites owned by Merch Informer may interact with Merch Informer in ways that require Merch Informer to gather personally identifying information. The amount and type of the information gathered by Merch Informer depends on the nature of the interaction. Those who engage in transactions with Merch Informer usually by purchasing different services, are asked to provide additional information, including as necessary the personal and financial information required to process those transactions. In each case, Merch Informer collects such information only insofar as is necessary or appropriate to fulfill the purpose of the visitor’s interaction with Merch Informer. Visitors can always refuse to supply personally-identifying information with the caveat that it may prevent them from engaging in certain website-related activities, including from becoming a customer of Merch Informer. In some cases, Merch Informer will ask website visitors wishing to become customers of Merch Informer to provide additional information beyond what was requested in the signup form. This information is requested to verify customer’s identify and reduce the likelihood of fraud. Customers not wishing to provide such information as requested may not be permitted to become customers of Merch Informer. We do not collect additional information, such as your age, gender, interests or bank details. For certain services that Merch Informer provides, Merch Informer may collect data feed which includes the action that Merch Informer’s client has performed, IP address from which that action was performed and a timestamp. This information is used to detect anomalies in behavior or malicious behavior so Merch Informer can use that information to re-construct the situation and to help to restore Merch Informer client’s data if needed. While you can use websites owned by Merch Informer without giving out your personal information, once you contact Merch Informer via the any of website, Merch Informer collects information about you. If you apply for a job with Merch Informer, we will collect, process and store the information you have sent us for recruitment-related purposes, such as contacting you. Additionally, Merch Informer may keep your data for a period of time for the purpose of considering you for a different opportunity. Websites owned by Merch Informer may feature multiple social plug-ins for easy sharing and following social media pages owned by Merch Informer: Facebook, operated by Facebook Inc., 1601 S. California Ave, Palo Alto, CA 94304, USA; LinkedIn, operated by LinkedIn, 2029 Sterling Court Mountain View, CA 94043 United States; Twitter, operated by Twitter Inc., 1355 Market Street, Suite 900, San Francisco, CA 94103 United States; Reddit, operated by Reddit, Inc., 520 3rd Street San Francisco, CA 94107 United States; Google, operated by Google LLC, 1600 Amphitheatre Parkway Mountain View, CA 94043 United States. Merch Informer discloses potentially personally-identifying and personally information only to those of it’s employees, contractors and affiliate organizations that (i) need to know that information in order to process it on Merch Informer’s behalf or provide services available to Merch Informer’s customers, and (ii) that have agreed not to disclose it to others. Some of those employees, contractors and affiliated organizations may be located outside of your home country; by using Merch Informer’s products and services, you consent to the transfer of such information to them. Merch Informer will not rent, sell or share potentially personally-identifying information only in response to a subpoena, court order or other governmental request. If you are a customer of Merch Informer and have supplied your email address, Merch Informer may occasionally send you an email to notify you about new products or services, solicit your feedback, inform you of an outage or interruption in service, or just keep you up to date with what is going on with Merch Informer and their products and services. Merch Informer takes all measures reasonably necessary to protect against the unauthorized access, use, alteration or destruction of potentially personally-identifying and personally-identifying information. This is done through appropriate technical measures. You have the right to request access to the information Merch Informer have on you. You can do this by contacting us at helpdesk.merchinformer.com. Merch Informer will make sure to provide you with a copy of the data we process about you. In order to comply with your request, Merch Informer may ask you to verify your identity. Merch Informer will fulfill your request by sending your copy electronically, unless the request expressly specifies a different method. For any subsequent access request, Merch Informer may charge you with an administrative fee. If you believe that the information Merch Informer have about you is incorrect, you are welcome to contact Merch Informer so Merch Informer can update it and keep your data accurate. Any data that is no longer needed for the purposes specified in Information collection and use will be deleted. If at any point you wish for Merch Informer to delete information about you, you can simply contact Merch Informer. Like most website operators, Merch Informer collects non-personally-identifying information of the sort that web browsers and servers typically make available, such as the browser type, language preference, referring site, and the date and time of each visitor request. Merch Informer’s purpose in collecting non-personally identifying information is to better understand how Merch Informer’s visitors use its website. From time to time, Merch Informer may release non-personally-identifying information in the aggregate, e.g., by publishing a report on trends in the usage of its website. 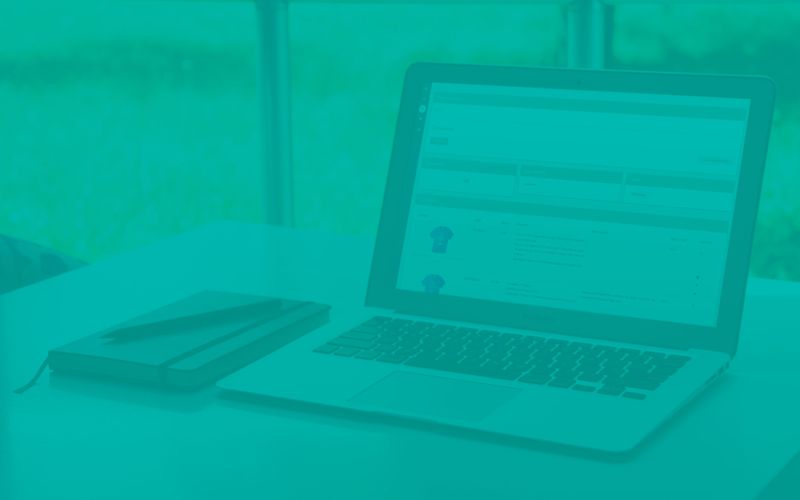 Merch Informer also collects potentially personally-identifying information like Internet Protocol (IP) addresses for logged in users and for users leaving comments on our blog. Merch Informer only discloses logged in user and commenter IP addresses under the same circumstances that it uses and discloses personally-identifying information as described below, except that blog commenter IP addresses and email addresses are visible and disclosed to the administrators of the blog where the comment was left. Certain visitors to Merch Informer’s Website choose to interact with Merch Informer in ways that require Merch Informer to gather personally-identifying information. The amount and type of information that Merch Informer gathers depends on the nature of the interaction. Those whom engage in transactions with Merch Informer are asked to provide additional information, including as necessary the personal and financial information required to process those transactions. In each case, Merch Informer collects such information only insofar as is necessary or appropriate to fulfill the purpose of the visitor’s interaction with Merch Informer. Merch Informer does not disclose personally-identifying information other than as described below. And visitors can always refuse to supply personally-identifying information, with the caveat that it may prevent them from engaging in certain website-related activities. Merch Informer may collect statistics about the behavior of visitors to its website. Merch Informer may display this information publicly or provide it to others. However, Merch Informer does not disclose personally-identifying information other than as described below. Merch Informer discloses potentially personally-identifying and personally-identifying information only to those of its employees, contractors and affiliated organizations that (i) need to know that information in order to process it on Merch Informer’s behalf or to provide services available at Merch Informer’s website, and (ii) that have agreed not to disclose it to others. Some of those employees, contractors and affiliated organizations may be located outside of your home country; by using Merch Informer’s websites, you consent to the transfer of such information to them. Merch Informer will not rent or sell potentially personally-identifying and personally-identifying information to anyone. Other than to its employees, contractors and affiliated organizations, as described above, Merch Informer discloses potentially personally-identifying and personally-identifying information only in response to a subpoena, court order or other governmental request, or when Merch Informer believes in good faith that disclosure is reasonably necessary to protect the property or rights of Merch Informer, third parties or the public at large. If you are a registered user of a Merch Informer website and have supplied your email address, Merch Informer may occasionally send you an email to tell you about new features, solicit your feedback, or just keep you up to date with what’s going on with Merch Informer and our products. If you send us a request (for example via a support email or via one of our feedback mechanisms), we reserve the right to publish it in order to help us clarify or respond to your request or to help us support other users. Merch Informer takes all measures reasonably necessary to protect against the unauthorized access, use, alteration or destruction of potentially personally-identifying and personally-identifying information. If Merch Informer, or substantially all of its assets, were acquired, or in the unlikely event that Merch Informer goes out of business or enters bankruptcy, user information would be one of the assets that is transferred or acquired by a third party. You acknowledge that such transfers may occur, and that any acquirer of Merch Informer may continue to use your personal information as set forth in this policy. You can help ensure that your contact information and preferences are accurate, complete, and up to date by logging in to your account at www.merchinformer.com. For other personal information we hold, we will provide you with access for any purpose including to request that we correct the data if it is inaccurate or delete the data if we are not required to retain it by law or for legitimate business purposes. We may decline to process requests that are frivolous/vexatious, jeopardize the privacy of others, are extremely impractical, or for which access is not otherwise required by local law. If you are a California resident, you may have certain additional rights. California Civil Code Section 1798.83 permits you to request information regarding the disclosure of your personal information by us to third parties for the third parties’ direct marketing purposes. California Business and Professions Code Section 22581 permits registered users who are minors to request and obtain deletion of certain posted content. Comments and other content submitted to us are saved on our servers. If you have any questions or comments we may be reached at helpdesk dot merchinformer dot com.